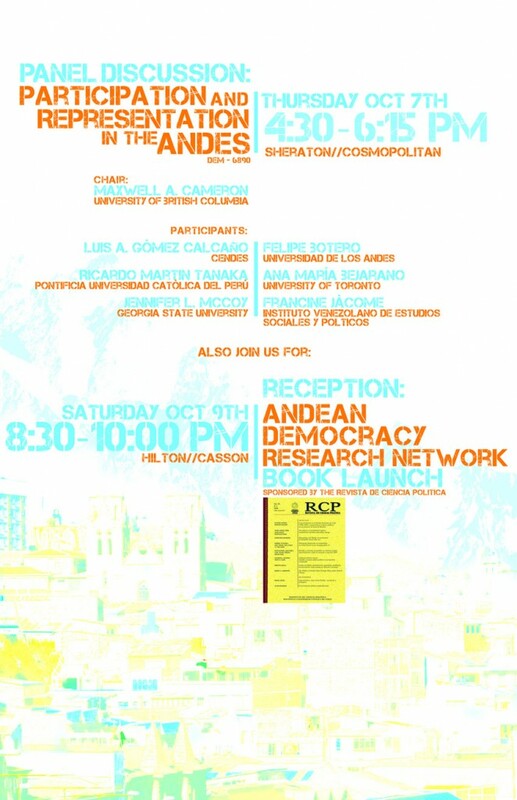 The Andean Democracy Research Network will meet at LASA in Toronto October 6-9th, 2010. The ADRN will be holding a workshop at LASA as well as a book launch for their recent publication with La Revista de Ciencia Política. Please take a look at the poster below for additional information on these events.